I’m so lucky to have grown up in Greenville, SC. We are so close to the mountains and I have so many great memories of going to the apple orchard, hiking and camping, and to Asheville with my family. Being 22 now, makes Asheville a little more fun. 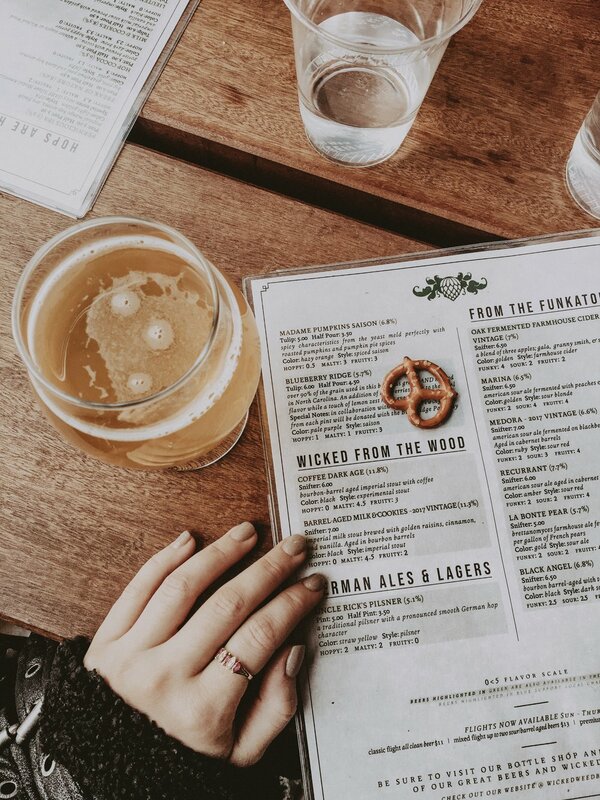 It’s a beer town through and through and while you can hit up the big breweries, there’s a couple of great little places I’ve found that I feel like I need to share. 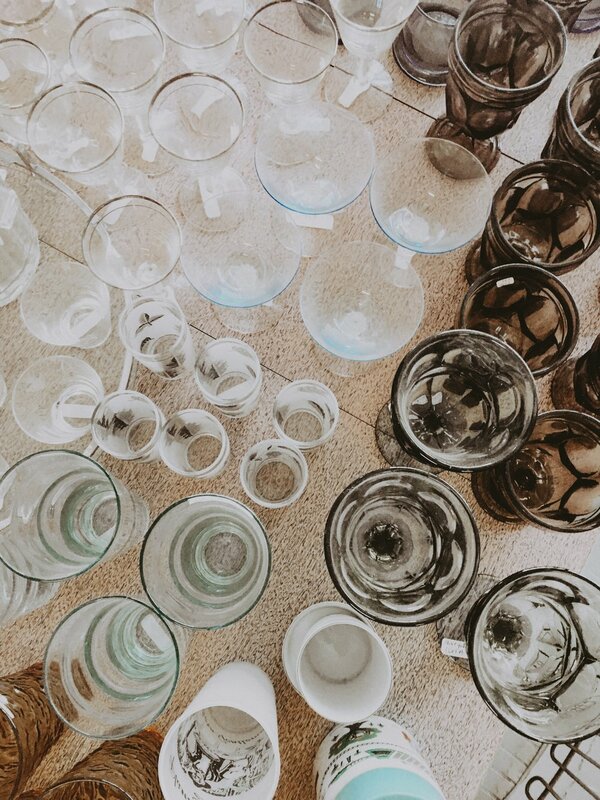 If you know me, you know I love searching though piles and warehouses for great finds. A once loved, vintage, 80’s style belt is like my new candy, so mix that with all the great wine bars and breweries, and no wonder I keep coming back. So Let’s start with the thrift and antique shops. It’s become a tradition that we go to at least one or two antique shops while we are in Asheville, so I’ve racked up a few favorites. Lexington Park Antiques- So if you’ve ever been to Asheville, you may have seen the sign or even wandered though this massive warehouse. 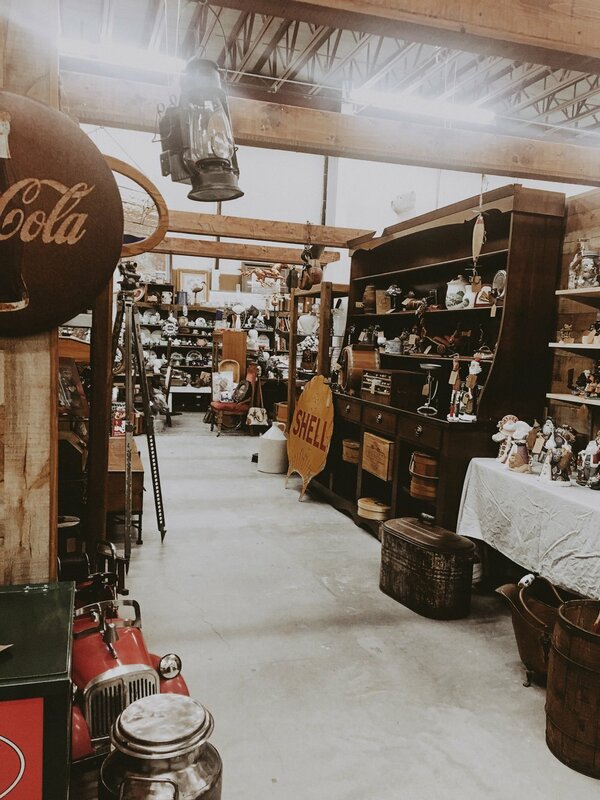 It’s not super hidden, but it’s a place you can get lost in for hours if you really want to search through everything and a great place to start antiquing in Asheville. Come here if you’re looking for: records, furniture, vintage belts/handbags, glassware. I found a great Paloma Picasso croc belt last time I was there and Dallas found a vintage suede bomber jacket! Chatsworth Art & Antiques - This is a smaller antique shop in the heart of downtown and close to Lexington Park Antiques. They has so many great framed art pieces and prints from floor to ceiling. It’s more like a museum when you go searching through there. You may not buy anything, but you could stay in there for hours looking at all the amazing pieces. Come here if you are looking for artwork and fine vintage jewelry. Needful Things II - Its the second one so it must be good. This is the newest one to me. Dallas and I went this past weekend and had to stop in Hendersonville for gas. we were on the way to an antique mall outside of Asheville, but when we got to the gas station, we looked across the street and saw a huge “antique and auction” sign so naturally we had to go. It’s the biggest one on the list and has so many great things to look through. It’s sectioned off by booths, so each “shop” has different pieces and styles. It’s also an auction house so there’s some huge pieces and cool big ticket items to look through as well. When we were there we ran into a ‘56 Thunderbird and a wood and stain-glass bar that looked like it came right out of a pub in Ireland. If anything, it’s a great place to look around and new things come in everyday. Come here if you’re looking for hours of looking through cool stuff, trinket items, decorative items, vintage hats, or come for an auction. Ragtime Vintage Clothing - this is where you can find some clothes. We found this place on the way out for the day, so I didn’t try everything on, but if your looking for clothes, without the hassle of looking through piles, this is the place. They have a whole rack of vintage levi and wrangler denim for you ladies, and guys, there’s so many cool jackets an tees. It’s a smaller place but they have some cool pieces and it’s definitely worth stopping in. jeans were around $25-30. Come here if you’re looking for clothes, jackets, scarves, and cool tees. So yes, there’s a brewery on every block, and yes, I could tell you about all of the ones you’ve already heard of and how great they are. New Belgium, Sierra Nevada, Wicked Weed… you can read trip advisor. I’ll probably do another post soon about places to stay and more restaurants to go to, but I wanted to throw this place into the mix, because after posting pictures and such here, I got some questions about where this place was and the deals they had. I went with some girlfriends to Asheville recently and we wanted to do a wine day. We weren’t sure exactly where we would end up, but we began the day shopping and eating and I asked a lady who worked at a local boutique if she knew of any good wine bars. She mentioned Sante Wine Bar and 5 Walnut Wine Bar. I definitely want to try out 5 Walnut next time but that weekend, we went to Sante WIne Bar and it was so good! They had great apps and food items but the best part was, you could get a wine flight of half pours (which really was close to a full glass to be honest) for $18. No matter what wine on the menu you got. So for example, I got a wine that was originally $15 a glass in my flight and paid $18 for a flight of 4 wines. It was so much fun to be there with all the girls, and you can try out so many different wines when you go with a group and get different flights. Next time you’re in town, definitely stop in. It’s located in the Grove Arcade in downtown Asheville. Have questions for me? I’m for sure not the Asheville expert but I’ve been lot’s of times so I have done the tourist spots and cool local finds. Let me know what you want to hear more about for a follow up post in the future in the comments below! Welcome to my closet! This is where you can find all my latest finds and shop them through their links. I’m an avid online shopper so just about anything you see that’s new on my Instagram or blog posts, will be linked here if it’s still in stores. If you have comments or want to see more items, shoot me a message! Skincare and haircare routines for everyone is so different. Those "cool girl cult favorites" don't always work for everyone and I can't afford to try out all of them anyways. I've gathered together a few of my favorite products that I feel like I've always used since I started wearing makeup, and mixed in a few new favorites I've found more recently. Spring Break is coming quick! If you're like me, you're probably looking for a good deal on some insta-worthy outfits, so I compiled a few good finds that wont break the bank. The tabletop was a fun project in itself for myself and the brand. In my recent post about the Jamie Geller photoshoot, I shared the inspiration for the entire weekend of styling and photographing. This trip to Savannah was super last minute and only two days long, but packed with exactly everything I wanted to do. I want to share some of my favorite places we went, the food we ate, and what I bought at some shops while we were there!